2015 is ending on a high note for Roscommon food producer Waldron Meats. Celebrating a major win in the annual Blas na h-Éireann Irish Food Awards, Waldrons scooped the prestigious Best in County Award, sponsored by Roscommon Local Enterprise Office. In addition to the top county award, Waldrons won a gold award for its Maple & Mustard Cook ‘n’ Bag Joint. Blas na h-Éireann are hugely acclaimed awards which are selected by a panel of 400 judges, with Waldrons products competing with more than 2,000 products from across the country. 2016 will be an exciting new era for Waldrons, who are based in Brideswell, as they have recently launched a new brand and new packaging onto the market. 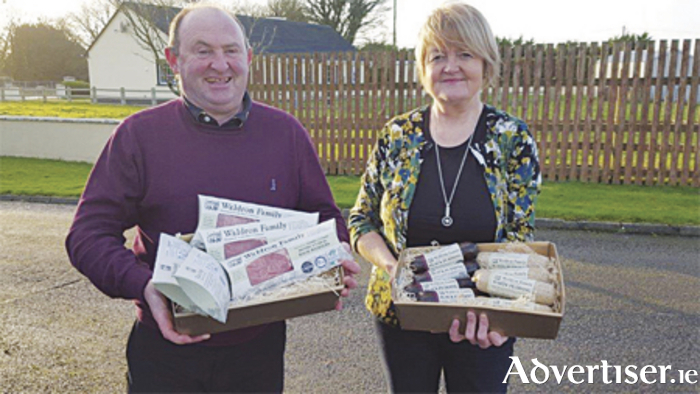 Waldrons were selected by Bord Bia to participate in the SuperBrands programme which assists smaller food producers to successfully compete with bigger more established food brands. Taking all this feedback on board, the new-look packaging has just hit the shelves. The new packaging gives prominence to Waldron Meat’s slow curing process.